WASHINGTON, DC, May 2, 2014 (ENS) – Climate change is pushing the cost of fighting wildfires this year hundreds of millions of dollars over the amount the federal agencies responsible have available to fight them. 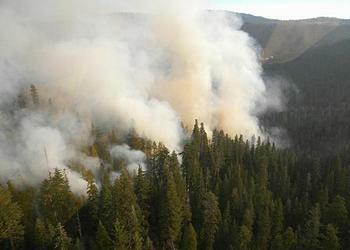 A Congressionally-mandated report issued Thursday calculates that the U.S. Forest Service and the Department of the Interior will need to spend $1.8 billion fighting fires this year, more than $470 million over the $1.4 billion available. “With climate change contributing to longer and more intense wildfire seasons, the dangers and costs of fighting those fires increase substantially,” said DOI Assistant Secretary of Policy, Management and Budget Rhea Suh. Both departments have had to divert funds from other programs to fund firefighting efforts for seven of the last 12 years. With the passage of the FLAME Act in 2009, both the Forest Service and the Interior Department are required to produce forecasts of annual suppression expenditures three times during each fiscal year, in March, May, and July. The new forecast is the highest in several years. Drought conditions in the West, especially in California, combine with other factors pointing to a dangerous fire season. Last year, 34 wildland firefighters died in the line of duty as fire burned 4.1 million acres and destroyed more than 1,000 homes across the country. “While our agencies will spend the necessary resources to protect people, homes and our forests, the high levels of wildfire this report predicts would force us to borrow funds from forest restoration, recreation and other areas,” said Under Secretary for Natural Resources and Environment Robert Bonnie. Bonnie says Congress should release more funds to cover the shortfall. “The President’s budget proposal, and similar bipartisan legislation before Congress, would solve this problem and allow the Forest Service to do more to restore our forests to make them more resistant to fire,” he said. Called “fire borrowing,” funding taken from forest management activities such as mechanical thinning and controlled burns that reduce the incidence and severity of wildfires can result in more forest lands lost to wildfires. In its 2015 budget proposal, the Obama Administration proposed a special disaster relief cap adjustment for use when costs of fighting fires exceed Forest Service and Department of the Interior budgets. The proposal tracks closely with legislation authored by Oregon Senator Ron Wyden, Senator Mike Crapo of Idaho, and Representatives Mike Simpson of Idaho and Kurt Schrader of Oregon. Over the last three decades, fire season lengths have increased by 60-80 days and annual acreages burned have more than doubled to over seven million acres annually. The growing number of housing developments in forests have put more people and houses in harms’ way, also making firefighting efforts more expensive, the report warns. CAMBRIDGE, Massachusetts, May 2, 2014 (ENS) – In an effort to convince Harvard University to divest its endowment fund from investments in fossil fuel corporations, early Wednesday morning, students blockaded the office of Harvard President Drew Faust demanding a public meeting of the Harvard Management Company on fossil fuel divestment. At 7 am Thursday, Harvard police broke up the blockade, arresting student Brett Roche, Class of 2015, who became the first student arrested in the movement for fossil fuel divestment, a growing movement at dozens of universities and colleges. Police placed themselves between the protestors and the doors to the building. Protestors ended the blockade with a short rally later Thursday morning. Thursday afternoon the protest received support from Canadian novelist Margaret Atwood. Speaking to hundreds attending the Harvard Arts First festival, with President Drew Faust in the audience, Atwood criticized the Harvard administration’s response to the student protest. “Any society where arrest is preferable to open dialogue is a scary place,” Atwood said. Friday at noon, Divest Harvard plans to hold a demonstration outside the office of President Faust in Harvard Yard, where the students will deliver over 60,000 petition signatures that have been gathered in support of Divest Harvard. Faculty members will speak in support of divestment, along with Roche, who will give his views on his arrest and the cause of divestment. Harvard President Faust has declined to divest. On October 3, 2013, Faust issued a statement http://www.harvard.edu/president/fossil-fuels explaining her reasoning. “Climate change represents one of the world’s most consequential challenges. I very much respect the concern and commitment shown by the many members of our community who are working to confront this problem,” stated Faust. Spearheaded by Harvard Students for a Just and Stable Future, Divest Harvard calls upon Harvard University to immediately freeze any new investments in fossil fuel companies, divest direct holdings – currently $17.3 million – from the top 200 publicly traded fossil fuel companies, divest indirect holdings in the top 200 fossil fuel companies within five years, and reinvest in socially responsible funds. The Divest Harvard students say that 80 percent of global carbon reserves must be kept in the ground to limit global warming to under 2 degrees Celsius – the upper warming limit agreed by world government leaders at the United Nations climate summit in Copenhagen in 2009. “The share prices of public fossil fuel corporations are inflated by the illusion that all of their reserves will be burned and become profit. But this scenario is incompatible with any hope for the future of our planet,” the Divest Harvard students say. WASHINGTON, DC, May 2, 2014 (ENS) – A liquefied natural gas export facility proposed for Cameron, Louisiana, will have “some adverse environmental impacts” the Federal Energy Regulatory Commission, FERC, said in its environmental impact statement released Wednesday. The project would transport and liquefy U.S. natural gas into LNG for export to foreign markets. Sempra Energy subsidiaries Cameron LNG, LLC and Cameron Interstate Pipeline, LLC (Cameron) propose to locate the project in Cameron, Calcasieu, and Beauregard Parishes, Louisiana. Upon completion, Cameron would be able to export about 12 million tons of liquefied natural gas a year. The facilities would expand an existing, operating LNG import terminal. Cameron LNG would construct the terminal expansion on a 502-acre site between Louisiana State Highway 27 and the Calcasieu Ship Channel, about two miles north of Hackberry, Louisiana. Cameron plans to construct three separate systems that liquefy natural gas, 21 miles of 42-inch-diameter pipeline, storage tanks, compression and other equipment. The major issues are impacts on wetlands, Essential Fish Habitat, eight federally listed species, traffic, air quality, noise, safety, and cumulative impacts, the EIS states. The report mentions emission of nitrogen dioxide, but says emissions would not be greater than Clean Air Act levels. Cameron Interstate would collocate 100 percent of the pipeline with existing rights-of-way. The project would be “consistent with or in conformance with” the Coastal Zone Management Act, the Clean Water Act, and the Clean Air Act. The dredged material would be disposed of “beneficially” to convert an open water area to tidally influenced marsh as part of a mitigation plan approved by the U.S. Army Corps of Engineers and Lousiana Department of Natural Resources. The use of horizontal directional drilling to place the pipeline would avoid disturbing wetlands and major waterbodies along the route, according to the EIS. Cameron would implement resource-specific or activity-specific plans, procedures, and agreements to protect natural resources, avoid or limit environmental impacts, and promote restoration of all disturbed areas during construction and operation of the project, the EIS states. Consultations with government agencies, and compliance actions resulting from these consultations, would be completed before Cameron could begin construction in any given area, FERC staff said, adding that an environmental inspection program would ensure compliance with all federal, state, and local permits. The U.S. Army Corps of Engineers, Coast Guard, Department of Energy, and the Department of Transportation cooperated in the preparation of the EIS. The FERC Commissioners will take staff’s recommendations into consideration when they make a decision on the Cameron project. OLYMPIA, Washington, May 2, 2014 (ENS) – Washington Governor Jay Inslee Tuesday signed an Executive Order outlining how his government will reduce carbon pollution in the state and improve energy independence through use of clean energy and the elimination of coal to generate electricity. “This is the right time to act, the right place to act and we are the right people to act,” Inslee said in remarks delivered at Shoreline Community College’s Professional Automotive Training Center. “We will engage the right people, consider the right options, ask the right questions and come to the right answers – answers that work for Washington,” hte governor said. The state is already feeling the effects of climate change. “Human activities have increased atmospheric levels of greenhouse gases to levels unprecedented in at least the past 800,000 years,” the governor said in his Executive Order. “Washington has experienced long-term warming, a lengthening of the frost-free season, and more frequent nighttime heat waves. Sea level is rising along most of Washington’s coast, coastal ocean acidity has increased, glacial area and spring snowpack have declined, and peak streamflows in many rivers have shifted earlier in the year,” he said. “Three key areas of risk, specifically changes in the natural timing of water availability, sea level rise and ocean acidity, and increased forest mortality, will likely bring significant consequences for the economy, infrastructure, natural systems, and human health of the region,” the Order states. By law, Washington is obligated to reduce its overall greenhouse gas emissions to 1990 levels by 2020. Inslee’s climate action plan, which requires legislative approval and funding, empowers a 21-member Carbon Emissions Reduction Task Force to provide recommendations on how Washington can design and implement a market-based carbon pollution program. The task force includes members from industry, agriculture, energy, transport, labor and health sectors, state government agencies, and a tribal member. Final recommendations are due November 21. State agencies are directed to work with utilities to reduce, and eventually eliminate, the use of electrical power produced by coal. Coal-generated electricity accounts for most of Washington’s electricity-related carbon emissions. The greatest percentage of carbon emissions come from cars, trucks and other transportation-related sources. The state Department of Transportation will lead an effort with other agencies and governments to promote strategies, policies and investments that support electrification of Washington’s transportation system, lower-emission multi-modal options, and clean fuels. The state Department of Commerce will work with Washington State University and others to develop and deploy new renewable energy and energy efficiency technologies, with an emphasis on solar power, and improve the energy performance of public and private buildings. The state Department of Enterprise Services will lead efforts to achieve carbon reduction and energy efficiency improvements throughout state government. The state Department of Ecology will review the state’s greenhouse gas emission limits and recommend updates. The governor’s plan meets with the approval of environmentalists. DENVER, Colorado, May 2, 2014 (ENS) – The U.S. Tenth Circuit Court of Appeals has issued a long-awaited decision rejecting arguments by San Juan County and the State of Utah that Salt Creek Canyon in Canyonlands National Park is a state highway. The state and county relied on an 1866 law commonly known as Revised Statute 2477 to argue that occasional travel in Salt Creek Canyon by jeeps had created a public highway. 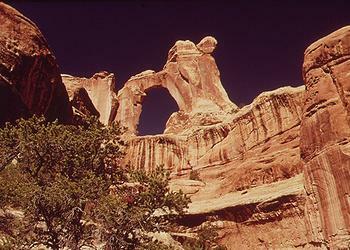 The state and county argued that without vehicle access to a feature of the park known as Angle Arch, people would have to walk nine miles to see it, making it inaccessible to people without the physical ability to make such a hike. And he says this decision will have important implications beyond Salt Creek. SUWA, based in Salt Lake City, Utah, has been working to protect Salt Creek Canyon because it contains the only perennial stream in the park besides the Green and Colorado rivers. It is also the location of the Salt Creek National Register Archaeological District, the area with the highest recorded density of archaeological sites in the park. WASHINGTON, DC, May 2, 2014 (ENS) – In model year 2012, nearly every automaker decreased greenhouse gas emissions and increased fuel economy as compared to 2011 vehicles, according to the U.S. Environmental Protection Agency’s newly released Manufacturers Performance Report. The report assesses the automobile industry’s progress toward meeting greenhouse gas emissions standards for cars and light trucks in the 2012 model year – the first year of this 14 year program. 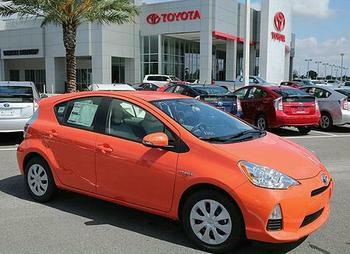 On average, vehicles reduced greenhouse gas emissions by 22 grams per mile compared to 2011 vehicles. Overall fuel economy improved by 1.2 miles per gallon over model year 2011 vehicles, the second largest increase in the past 30 years. Compared to five years ago, there are now twice as many sport utility vehicles and small trucks that achieve over 25 mpg, and seven times as many cars at 40 mpg or more, the EPA data show. “President Obama’s Climate Action Plan calls for reductions in greenhouse gases and this report shows that the automakers are off to a good start reducing harmful emissions,” said EPA Administrator Gina McCarthy. “EPA’s greenhouse gas standards for light duty cars and trucks are already reducing the dangerous carbon emissions that contribute to climate change while saving consumers money at the pump, and strengthening our nation’s energy security by relying less on foreign oil,” McCarthy said. The report reveals that consumers bought cleaner vehicles in the first year of the program than the 2012 greenhouse gas standard required. The data show that in model year 2012, the industry reduced tailpipe carbon dioxide emissions, and also used the optional flexibilities built into the standards. Those flexibilities include emissions credits for improvements in air conditioning systems, and a system that allows transfer of emissions credits from year to year, and among manufacturers. These flexibilities allow greater emissions reductions, lower compliance costs, and more consumer choice, all while providing manufacturers with options on how and when to make reductions. Because of the program’s multi-year structure, EPA will not make formal compliance determinations for the 2012 model year until 2015. McCarthy said the EPA will be closely tracking progress towards compliance. The agency intends to issue annual Manufacturers Performance Reports on the program. The greenhouse gas emission standards are projected to cut six billion metric tons of greenhouse gases over the lifetimes of vehicles sold in model years 2012-2025 – more than the total amount of carbon dioxide emitted by the United States in 2012. The standards are also projected to save consumers who purchase a new model year 2025 vehicle more than $8,000 in fuel costs over that vehicle’s lifetime. On May 7, 2010, the Environmental Protection Agency (EPA) and the National Highway Traffic Safety Administration (NHTSA) issued a joint Final Rule to establish a National Program with new standards for light-duty vehicles that reduce greenhouse gas emissions and improve fuel economy. the Energy Policy and Conservation Act of 1975. These standards apply to passenger cars, light-duty trucks, and medium-duty passenger vehicles, covering model years 2012 through 2016, and represent the first phase of the EPA and NHTSA joint harmonized National Program. On October 15, 2012, the two agencies issued a rulemaking further reducing greenhouse gas emissions and improving the fuel economy of light-duty vehicles for model years 2017-2025, building on the success of the first phase of the joint National Program. In this first year of evaluation, a credit trading market emerged within the program. Six manufacturers participated in credit transactions as buyers or sellers of credits. This is the first time in an EPA light-duty vehicle emissions standards program that credit trading activity has occurred on such a scale. The EPA says, “It is clear that buying credits may be an important way for some manufacturers to bring their fleet into compliance and an incentive for other manufacturers to bring lower greenhouse gas vehicles to market early.